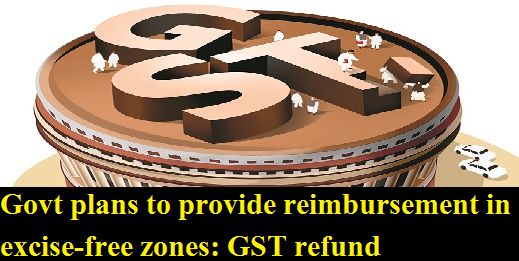 The Modi government has moved a proposal to make a budgetary provision for refunding its share of area-based exemptions on indirect taxes given to certain states in the past. In last week’s meeting of the Goods and services tax (GST) Council, it was prposed that ‘all entities exempted under payment of indirect tax under any existing incentives scheme of central or state governments shall not continue under the GST regime and existing units shall pay tax under the GST regime’. The finance ministry has proposed to provide budgetary support for refunding its share in GST to such units to which exemptions in indirect taxes were granted, under the discretionary powers left to it by the Council regarding these incentives, for promoting industrialisation. These units are situated in Jammu & Kashmir, Himachal Pradesh, Uttrakhand and the northeastern states, In these states, some areas have been catagorised as excise-free zones and units in those areas were eligible for expemptions. According to a finance ministry official, a budgetary provision will be made to refund the central government’s share in those incentives for the residual period of the unit. The refund will apparently be to the extent of 58 per cent of the Centre’s share of GST. Govt plans to provide reimbursement in excise-free zones: GST refund, In last week’s meeting of the Goods and services tax (GST) Council, it was prposed that ‘all entities exempted under payment of indirect tax under any existing incentives scheme of central or state governments shall not continue under the GST regime and existing units shall pay tax under the GST regime’.